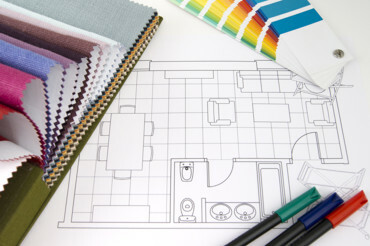 If you want a career as a professional interior designer, then CIT’s Interior Design qualifications are a must. Our students graduate job ready with skills and knowledge to work in any Architectural or Design practice. Interior design is an exciting and challenging role; we will guide you through the process of transforming residential and commercial spaces, starting small and moving up to complex commercial and institutional design environments at the Advanced Diploma level. The first semester classes give students practical skills to provide advice and assistance on the styling of existing interior spaces. You'll learn about researching and analysis of a client brief, planning and arrangement of a given space, selection of colours, specification of finishes and furnishings and sourcing, costing and purchasing of products, lighting, construction and structural elements along with Building codes and regulations. You will learn how to work with clients, architects, builders, retailers and suppliers. A series of interactive projects and live briefs will teach you how to provide confident and proficient creative and technical solutions for interior residential, small commercial and institutional design projects. By developing your design and problem-solving skills, you will learn to utilise furnishings, material and the psychology of design, to work within project parameters, exploring the relationship between human activity and interaction, spatial design and sustainability. The Advanced Diploma engages students with designing for complex environments including facilities for people with disabilities, the aged, and adaptive re-use projects, managing the changing nature of design trends, the shift to eco-friendly materials and sustainability, as well as encouraging an appreciation of design culture through historical and theoretical perspectives. The option to do work placement in the industry assists students gaining employment. The program utilises different techniques of design communication and take advantage of using the latest software programs in our industry to produce computer-aided drawing, 3D modelling, design and documentation. Our teachers are all working in the industry, which along with site visits and industry involvement ensures the students are given up to date practices, knowledge and skills. The Advanced Diploma offers students work placement for up to 100 unpaid hours and to undertake industry level project work. Completeing industry placement assists students in finding employment in the industry. In addition to the above materials costs, students are also required to purchase a kit of equipment on commencement valued at $250. Throughout their studies students will be required to submit printed versions of their work for assessment. Printing costs are estimated at $10 per week during each semester. Description: This unit describes the skills and knowledge required to apply a range of techniques to produce technical drawings that meet required standards and conventions.� It applies to individuals who use technical drawings in various contexts. No licensing, legislative or certification requirements apply to this unit at the time of publication. Description: This unit specifies the outcomes required to research, analyse and apply colour for interior decoration projects. Description: This unit of competency covers identifying and assessing the WHS implications of effects used in interior decoration and design, including furniture, hard and soft materials and accessories, to determine potential hazards for a range of customer groups. Description: This unit specifies the outcomes required to decorate residential interiors for the solution of interior decoration projects in accordance with project briefs. Description: This unit describes the skills and knowledge required to explore and creatively apply the design process to the development of two-dimensional (2D) forms. It applies to individuals who apply the creative design process to the development of 2D forms. The unit underpins many other specialised design units. Description: This unit describes the skills and knowledge required to explore and creatively apply the design process to the development of three-dimensional (3D) forms. It applies to individuals who work under supervision and apply an understanding of the design process using discretion and judgement. Description: This unit describes the skills and knowledge required to produce drawings that represent and communicate ideas. It does not relate to drawing as an art form. It applies to individuals who use drawings, either electronic or hand drawn, for personal use or in response to a project or brief. Drawings may include design concepts for objects, processes or spaces, movement sequences for performances or screen productions, exhibitions, tenders, proposals or publications. Description: This unit describes the skills and knowledge required to use a range of computer-aided design and drafting (CADD) program functions to produce drawings. The focus of this unit is on the technical skills required to operate CADD, not on design skills. It applies to individuals who use computer-aided drawing skills in various contexts. No licensing, legislative or certification requirements apply to this unit at the time of publication. Description: This unit describes the skills and knowledge required to generate design solutions in response to a particular design need. It applies to individuals who generate concepts and solutions in response to a design challenge in any industry context. The starting point may be an open or closed brief; a spontaneous idea; modification of an existing product, service, process or system; or a point in an ongoing design process. This unit builds on BSBDES201 Follow a design process, and places greater focus on research, concept generation and collaboration with others as key aspects of the design process. No licensing, legislative or certification requirements apply to this unit at the time of publication. Description: This unit describes the skills and knowledge required to test and apply techniques for the production of models or maquettes for spatial designs. It applies to individuals who generate ideas and solutions for the layout of spaces. Spatial design solutions are required for exhibitions, fit-outs for exterior spaces or environments, and fit-outs for building foyers and offices, special events and theatre sets. Description: This unit specifies the outcomes required to prepare a materials or sample board for client presentation, for interior decoration and design projects. Description: This unit specifies the outcomes required to research and recommend furniture and accessories for various decoration and design solutions to meet client and project brief requirements. Description: This unit specifies the outcomes required to research and recommend soft furnishings for various decoration and design solutions to meet client and project brief requirements. Description: This unit specifies the outcomes required to research and recommend hard materials and finishes for various interior decoration and design solutions. Description: This unit deals with the skills and knowledge required to research and document the materials, construction techniques and methods associated with the construction of residential buildings. Description: This unit specifies the outcomes required to assess natural and artificial light sources of an interior space and make recommendations for light fittings as part of a decorative solution. Description: This unit specifies the outcomes required to research architectural styles and movements and analyse how they influence interior decoration and design projects. Description: This unit of competency specifies the mandatory work health and safety training required prior to undertaking construction work. The unit requires the person to demonstrate personal awareness and knowledge of health and safety legislative requirements in order to work safely and prevent injury or harm to self and others. It covers identifying and orally reporting common construction hazards, understanding basic risk control measures, and identifying procedures for responding to potential incidents and emergencies. It also covers correctly selecting and fitting common personal protective equipment (PPE) used for construction work. This unit meets the general construction induction training requirements of: Part 1.1 Definitions and Part 6.5 of the Model Work Health and Safety Regulations; Division 11 of Part 3 of the Occupational Safety and Health Regulations 1996 for Western Australia; and Division 3 of Part 5.1 of the Occupational Health and Safety Regulations 2007 for Victoria. It is expected that site-specific induction training will be conducted prior to conducting construction work. Licensing, legislative, regulatory or certification requirements apply to this unit. Relevant work health and safety state and territory regulatory authorities should be consulted to confirm jurisdictional requirements. Description: This unit describes the skills and knowledge required to apply a range of techniques to produce technical drawings that meet required standards and conventions. It applies to individuals who use technical drawings in various contexts. No licensing, legislative or certification requirements apply to this unit at the time of publication. Description: This unit specifies the skills and knowledge required to evaluate materials and construction methods used on a site in order to determine their impact on the interior design brief. Description: This unit describes the knowledge and skills required to provide design styling services for a range of interior spaces. Description: This unit of competency specifies the outcomes required to research compliance requirements in different locations that apply to all residential building design projects covered by the National Construction Code (NCC), except construction Type A buildings. It covers research into local, state and federal government legislation and policies relating to planning and the environment, including zoning, and analysis of requirements in relation to client preferences and prospective design proposals. Description: This unit describes the knowledge and skills required to apply researched information to formulate creative and complex interior design solutions to retail environments, satisfying the physiological, psychological, social, cultural and environmental requirements of the brief. Description: This unit specifies the outcomes required to design for people with disabilities and the elderly in residential environments including kitchens, bathrooms, bedrooms, lounge rooms, dining rooms, family rooms and multi-use rooms, for the solution of interior decoration and design projects and in accordance with project briefs. Description: This unit covers the skills and knowledge required to manipulate 3-D interior space and form applying the elements and principles of design in response to a brief. Description: This unit specifies the outcomes required to use computer aided drafting (CAD) applications to produce models and documentation for interior decoration and design projects to meet client and project brief requirements. Description: This unit describes the skills and knowledge required to create 3D digital models that meet technical and design specifications. It applies to individuals who clarify production requirements and produce 3D models under supervision, but may have responsibility for planning their own work. They produce these 3D models primarily for online and mobile device application. No licensing, legislative or certification requirements apply to this unit at the time of publication. Description: This unit specifies the outcomes required to investigate legal requirements for design, including procurement, business legalities, contractual obligations and operational issues. Description: This unit covers the skills and knowledge required to successfully use a range modelling techniques for extending, developing and resolving complex spatial design problems. Description: This unit specifies the outcomes required to use 3-D computer visualisation techniques to represent designs for interior environments. Description: This unit describes the knowledge and skills required to apply researched information to formulate creative and complex design solutions to a range of small to medium scale commercial or institutional interior design situations satisfying the physiological, psychological, social, cultural and environmental requirements of the brief. This subject achieves competency MSFID5013. Description: This unit describes the knowledge and skills required to apply researched information to formulate creative and complex design solutions to large scale commercial or institutional interior design situations satisfying the physiological, psychological, social, cultural, technical and environmental requirements of the brief. Description: This unit specifies the outcomes required to evaluate and participate in design industry networks to learn from others and develop networks which may assist with the progressing of own initiatives. Description: This unit specifies the outcomes required to prepare, produce and present commercial project digital presentations for the promotion and marketing of design services, for the solution of interior decoration and design projects and in accordance with project briefs. Description: This unit describes the knowledge and skills required to apply researched information to formulate creative and complex interior design solutions to hospitality environments, satisfying the physiological, psychological, social, cultural and environmental requirements of the brief. This subject achieves competency MSFID6004. Description: This unit specifies the outcomes required to evaluate design project outcomes, including all aspects of the project against the requirements of the project brief. Interior Designer for interior design and architectural practices, self employed Design Consultant, Design Project administrator and Design Manager. Work on both Residential and Commercial projects. Lectures & Tutorials: Formal teaching sessions are used for audio/visual and oral delivery of principles and theories related to interior design practice and design project management. Individual and/or interactive small group sessions where discussion, analysis, extension and evaluation of student work takes place. Seminars: Presentations and group opportunities to discuss investigative work carried out by students, staff and/or guest lecturers. Studios/Workshops: Opportunities are created for students to build industry level skills through participation in ‘hands-on’ practice. Project based instruction: Instruction intended to develop specific advanced skills and knowledge within an interior design context. Collaborative studio based projects explore contemporary issues, develop tolerance of others, support effective workplace communication and employability skills. Industry Exposure: Opportunities arising out of international study-tours, simulated work environments, industry guest lectures and local and interstate field trips are used to enrich learning. Students also have access to supplementary online (eLearn) resources to reinforce and extend classroom based learning. Online opportunities to work collaboratively and flexibly are also provided. Assessments may be competency based, grades, or a combination of the two. 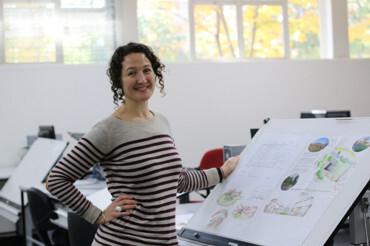 Students who gain entry into the University of Canberra and successfully complete the Advanced Diploma of Interior Design will receive 45 credit points towards the Bachelor of the Built Environment (Interior Architecture) (ABB002).